By the mid-19th century, a state art school had been founded in Vilna, under the authority of the St. Petersburg Academy for the Arts. The only criterion for acceptance into the school was the ability to draw. Many young Jews, in particular those from poor homes, studied at the school. A number of famous and talented artists acquired their first experiences there, and some of them were even awarded living and study stipends by the community. The Vilna Association for the Arts had many Jewish members, including Russians, Poles, Lithuanians and Belarusians. The Association's secretary and one of its founders was Ber Zalkind. At the turn of the century, a school for the applied arts was established in the spirit of the vision of the late sculptor Mark Antokolski. Following WWI, many artists returned to Vilna from Russia. The Polish Artists' Association founded the art school in the city with the support of the government, and most of its students were Jewish. Vilna University established a faculty for the arts, which also had Jewish students. A Jewish Artists' Association was founded in the city that held individual and group exhibitions. 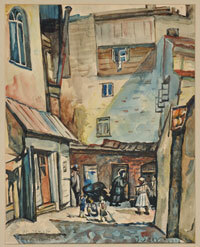 Vilna also hosted exhibitions of Jewish artists from across Poland. Among the artists who were born or studied in Vilna were Boris (Zalman-Dov) Schatz, future founder of the "Bezalel" Academy of Arts and Design in Jerusalem; Latvian-born Nahum Aronson who was sent to Vilna to study, and later became famous in Paris; Vilna wood sculptor Zalman Straz a former yeshiva student, who won the backing of a Polish landowner as well as many Polish competitions, and who continued his activities in Moscow during the war; the young sculptor Y. Smorgon, a former yeshiva student and bookbinder by profession, who began sculpting without any formal training, and put on a personal exhibition that was attended by some 2,000 people; the painters Jacques Lifshitz, Chaim Soutine, Benzion Zuckerman and Lazar Segall; Nissan Treger, the son of a poor tailor, who came to the US and whose busts of former presidents are displayed in the White House; the artist Samuel Bak; and many others. 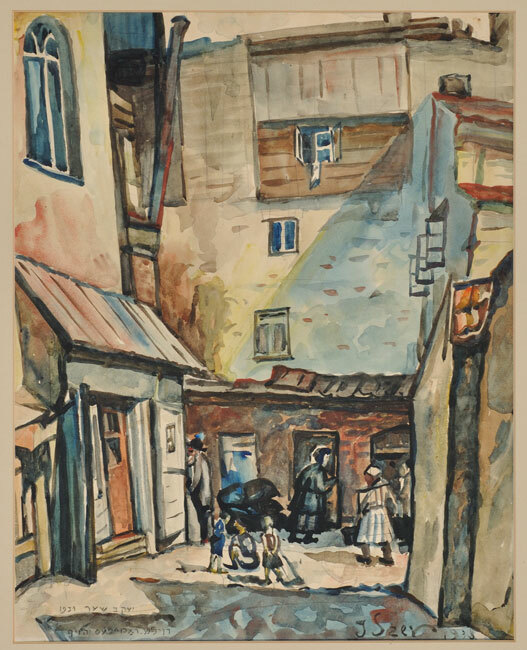 Jewish Vilna, its passageways and the personalities that roamed them, were the subjects of many works of Jewish artists from Vilna.